The past few days have been so awesome for us Skylanders fans. I am pretty excited about the new installment of the Skylanders game. Yesterday we saw leaked images from the Asian Gamer @thereal8bittheater (mistakes happen). Well today we got full conformation about the new game here is everything you need to know about the new game thus far. First let’s check out the press release sent over by Activision. Since the launch of Skylanders®, kids around the world have sent Toys For Bob, the pioneers of the toys-to-life category, hand-drawn Skylanders with one special request – please bring my Skylander to life.This October, Activision Publishing, Inc., a wholly owned subsidiary of Activision Blizzard, Inc. (NASDAQ: ATVI) will make that wish a reality. For the first time,Skylanders® Imaginators will empower Portal Masters to unleash their imaginations by giving them the freedom to create their own Skylander. Skylanders Imaginators introduces Skylanders Senseis, all-new heroes who represent 10 powerful Battle Classes such as Knight, Sorcerer, Bowslinger, Brawler and more. 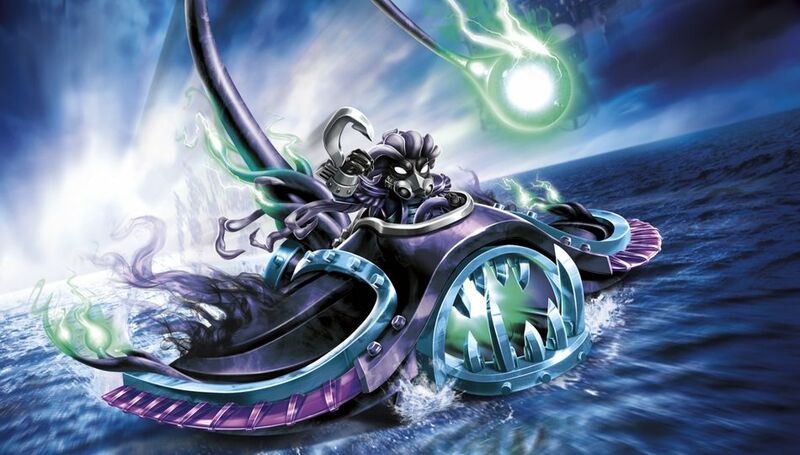 Skylanders Senseis help train created Imaginators by offering a range of benefits including unlocking super-cool Imaginator weapons, providing access to special areas in the game, as well as bestowing Secret Techniques across the Battle Classes. Senseis also have their own unique benefits including the extraordinary ability to unleash Sky-Chi – the ultimate Battle Class super move. There are a total of 31 Senseis, which include some fan-favorite villains who have been reformed and now fight for good! “Skylanders Art-to-Life Contest.” Starting today, Portal Masters are invited to submit drawings of their own created Skylanders for a chance to have their characters represented in the Skylanders Imaginators game at launch! To participate, fans simply draw their imagined Skylander and submit it via Instagram or Twitter with the dedicated hashtag#SkylandersArtContest, or to us directly at SkylandersCommunity@Activision.com. Starting today, fans can pre-order Skylanders Imaginators Starter Packs which include two new Skylanders characters, a Creation Crystal, Portal of Power®and the full AAA game. Skylanders Imaginators will be available on Xbox 360™ and Xbox One™video game and entertainment systems from Microsoft, PlayStation® 3 and PlayStation® 4 computer entertainment systems and Nintendo’s Wii U™ system. Now that is a lot to soak in right? Seriously though how sweet is that we get another chance to create a character that will be in the game!? Ok you may still have some questions so I’ll try to clear up as many of them as I can in this post. If you have any more questions after you read this just leave a comment and I’ll do my best to get you an answer. So far we know that the game is called Skylanders Imaginators. The game will feature 20 new Skylanders and 11 villains for a total of 31 figures minus the variants. No reposes this time, which is great! Finally we get our favorite villains in figure form. I so can’t wait to own a Kaos figure! What’s included in the starter pack? Will there be a Dark Starter? 3 Skylanders- Dark King Pen, Dark Golden Queen, Dark Wolfgang. 3 Imaginite Creation Crystals- Fire, Life, and Dark. How many Battle Classes are there? Will the game be released on Wii and 3DS? As of now there is no release of the game on Wii or 3DS. Could this change? Maybe. If it does of course I’ll let you know. No word yet on Elemental Zones or any other game modes, e.g. Digital vehicles are available for racing if you don’t own Supercharger Vehicles. 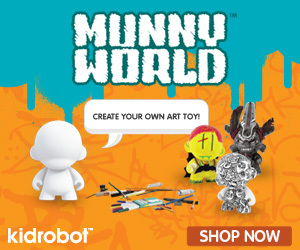 Portal Supports two creation crystals, two character toys or one of each. The “Fan Favorite” Swap Force portal returns Portal has no trap slot. All previous portals are supported. Just about everything! From the arms and legs, to the size and color. You can even create custom catch phrases. Part drops are randomized to support multiple playthroughs. Two players cannot create characters at the same time completed Imaginators are not saved in the game they exist solely in the Creation Crystal. As mentioned in the press release the price of the regular starter pack is $74.99. The Dark Edition will be $99.99. You can pre-order now if you do you will get the Kaos figure as a pre-order bonus. 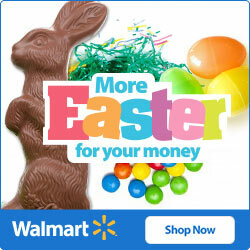 Sensei Skylanders will be $14.99 and Creation Crystals will be $9.99. Can I still use my vehicles from Superchargers? Yes of course, but the vehicles will only be used in the racing option of the game. Traps will work as they did in the Superchargers game. It will be released on October 16th in the US, October 14th in the UK, and October 13th in Australia and New Zealand. I’m excited to get this game. The game play and figures look amazing! I’m not too sure how I feel about the customizing option. It is a really cool idea something that the fans have been wanting, but not sure how this will feel in game. I will have to play around with it to be able to have a better opinion on the feature. Check out the awesome reveal video below if you haven’t seen it yet. How do you all feel about the new game? Will you be entering the contest? Let me know in the comments section or on any of the Skylander Addicts social media pages. Special thanks go to Dorothea, Titus, Justin, Rob, and all the others who are apart of the United Sites of Skylands. You guys rock! Thanks a lot for your help supplying me with extra info and images. Until next time I’ll catch you on the SKYSIDE! Thanks to my sources and the info posted by Skylanders Character List we can now see that a new date has been set for the release of Battlecast at Toys R Us stores that date being May 24th. That is exactly the same day the last remaining Skylanders figure Thrillipede and vehicle Buzzwing are set to be released it’s also one day after my birthday so you know what I’ll be asking for. I’m really excited to get this game, as I know some of you are as well. I am also excited to get some Skylanders 6 info at E3, which is coming up soon. What do you think the new game will be called? Do you think it will tie into the new cartoon series Skylanders Academy or maybe the comic book series? Only time will tell I just know that I am over amped! Guess I’ll have to keep playing Superchargers and Battlecast for the time being. If you haven’t already make sure to go and download the Battlecast app so that you don’t miss out on anything. Until next time I’ll catch you on the SKYSIDE! Been a little while since I have posted some of you may know I’m expecting a new addition. Pretty much all my time has been taken up getting ready. I know this is old news to most of you, but I got an email from Activision earlier today. Enclosed was the official press release for the partnership between Activision (Skylanders) and Autism Speaks. Quick briefing to help celebrate and show how much Skylanders supports the cause a special set of Skylanders figures will be released on March 1st pretty much everywhere Skylanders are sold, though some stores have already been stocking the shelves with these beauties. They are what I have reported about for a while now the Power Blue Supercharger variants. Here is the full scoop about this awesome release of figures! 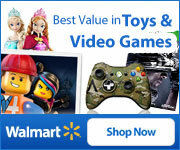 To support the millions of families affected by autism, Skylanders®, the beloved kids videogame franchise, and Autism Speaks, an organization dedicated to autism science and advocacy, invite fans to “Light it up Blue” with one-of-a-kind toys. Through this creative collaboration for April’s Autism Awareness Month, Skylanders and Autism Speaks are raising awareness for an important cause — and in true Skylanders fashion, are having fun while doing it. The new series of Skylanders SuperChargers toys are blue and white to reflect Autism Speaks’ official colors. 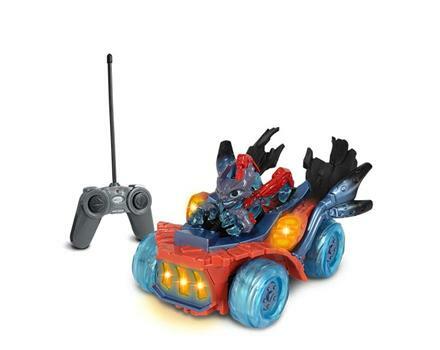 The “Power Blue” Skylanders SuperChargers feature Splat and Trigger Happy, as well as their SuperCharged vehicles Splatter Splasher and Gold Rusher — all of which appear in-game as their special colors. The toys are on store shelves now at participating retailers in the U.S. and Europe and will be available starting April 1 in Canada. “When my son was diagnosed with autism, I felt very alone. From my first Autism Speaks Walk, I felt the power of community, and this partnership with Skylanderswill bring awareness and belonging to kids and families in a unique way,” said Matt Asner, director of Corporate Development, Autism Speaks. I think it says something about Activision that they are supporting and awesome cause and giving us portal masters a chance to add something unique to our collections. I know a lot of parents that read this blog with a child or children with Autism so I know this is an issue that hits home. I have seen some of you express how awesome this is of the Skylanders game to partner up with Autism Speaks just makes you warm all over doesn’t it? 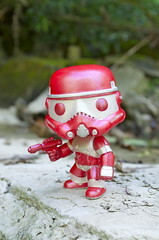 I will be getting more than one set of these to help support the cause. I hope that a lot of you will be supporting the “Light It Up Blue” campaign by purchasing a set or two of these as well. Until next time I’ll catch you on the SKYSIDE! Some of you may have gotten lucky and already gotten your hands on some of Wave 3. Images have been popping up online from different sources stating they are starting to hit shelves. Wave 3 is suppose to be released in the US on the 1st of December, Germany December 18th, and Australia December 12th. If you want to know what is all suppose to come in Wave 3 click the link below. Until next time I’ll catch you on the SKYSIDE! Some of you may have wondered where the wave 2 Skylander figures are or when will they be released. Well I can only answer one of those questions sort of. If you were lucky enough to get a Nightfall figure you may have come into the issue of the figure not working on the portal. According to sources the figure has been recalled due to this issue, which also leads me to believe that other wave 2 characters were also held back to make sure the same issue was not happening with any of the other toys. 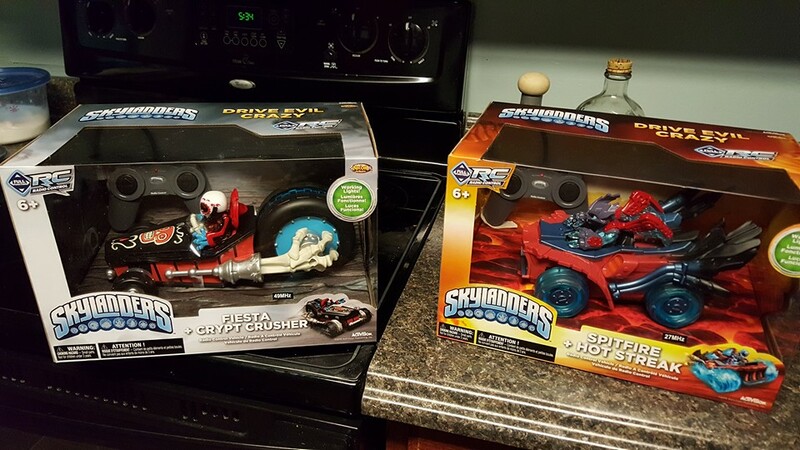 Question: My Nightfall toy is not Registering in Skylanders Superchargers. What’s happening? Answer: Since the launch of Skylanders in 2011 Activision has been committed to delivering high-quality toys to our consumers. 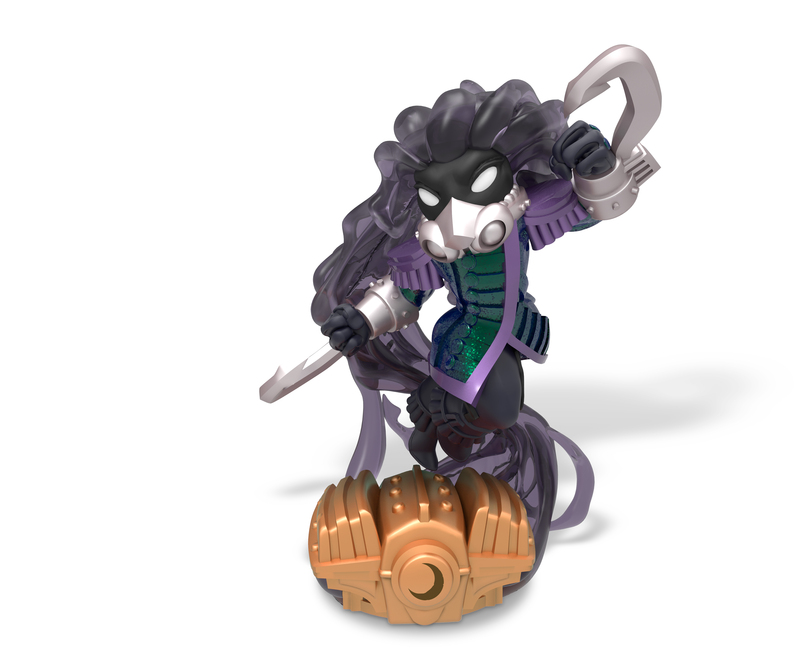 It has come to our attention That our software is unable to recognize the Skylanders Superchargers Dark Element character Nightfall. As a result, we stopped shipment of a majority of the toys Before They arrived at retail. 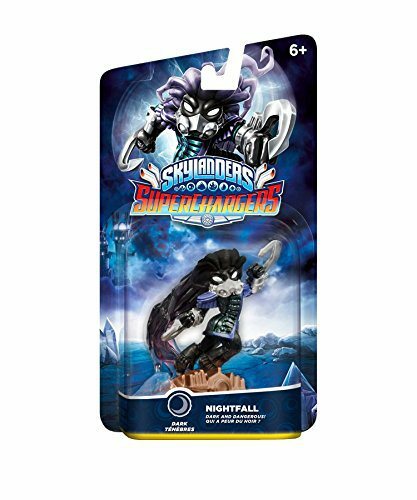 We will be reissuing the toy as soon as Possible, and consumers Should find Nightfall on shelves before the end of the year. If you have received a non-functional version of the Nightfall toy, please call 1-844-HELP-EON for assistance from Activision. We sincerely apologize for any inconvenience this may cause Skylanders fans. This is the first time in Skylanders history that a recall has been issued.This isn’t the first time portal masters have had issues with a figure unfortunately it happens. There is good news though if you downloaded the Day 1 patch it fixes the issue. Bad news for Wii players there is no patch which is why some are assuming that is the reason figures still were recalled. You can read more about the Day 1 Patch here. If you are one of the unlucky folks to have gotten a faulty Nightfall and the patch still hasn’t fixed it call the help line and see what can be done to solve the issue. Until next time I’ll catch you on the SKYSIDE!